The Royal Institute of British Architects (RIBA) on behalf of Ryger Maidenhead Ltd/The London & Aberdeen Group with their long term associates, Smedvig Eiendom AS of Norway are delighted to announce the shortlist for the design competition for a mixed use development to reinvigorate a prominent site in Maidenhead Town Centre. 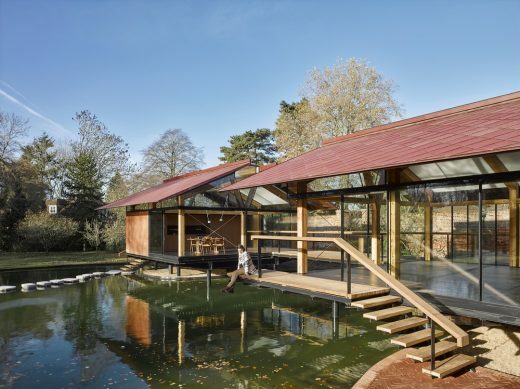 The competition seeks an architectural practice that can bring imaginative thinking to build upon a high level strategic master plan, developed in conjunction with the Royal Borough of Windsor and Maidenhead, and to produce a high quality, affordable scheme that sits comfortably within its context. The new scheme will be a mix of retail, commercial, offices and residential buildings with associated underground parking and a new public town plaza. The scheme seeks to improve accessibility and links with the Nicholson Shopping Centre and car park, the High Street and the Maidenhead railway station (Western terminus of CrossRail 2019), which will create a stimulating and vibrant living and working environment whilst raising the Town Centre’s profile as a new destination for shoppers, workers and inhabitants and a new attractive central meeting place. The shortlisted teams will now work on their design proposals and will be invited to present these to the judging panel in April 2014. The Royal Institute of British Architects (RIBA) is delighted to announce the launch of a new invited design competition on behalf of Ryger Maidenhead Ltd/The London & Aberdeen Group with their long term associates, Smedvig Eiendom AS of Norway. Expressions of interest are invited from architectural practices based in the UK to design a mixed use development to reinvigorate a prominent site in Maidenhead Town Centre. The client is seeking to appoint an architectural practice that can bring imaginative thinking to build upon a high level strategic master plan, developed in conjunction with the Royal Borough of Windsor and Maidenhead, and to produce a high quality, affordable scheme that sits comfortably within its context. 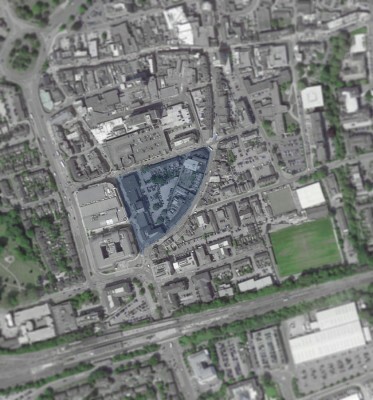 The proposed circa £200m development (circa £100m building costs) comprises the demolition of existing buildings in the triangle site bounded by Broadway, King Street and Queen Street and the construction of a new high quality mixed-use scheme, on this 4.7 acre site which will revitalise the town centre. The site is at the southern gateway to the town centre and represents opportunities for a landmark design. The scheme is a mix of retail, commercial, offices and residential buildings with associated underground parking and a new public town plaza. It is envisaged that this central public area will have its own identity and will be designed to create a welcoming and exciting space, becoming the new meeting place in Maidenhead town centre. The scheme seeks to improve accessibility and links with the Nicholson Shopping Centre and car park, the High Street and the Maidenhead railway station (Western terminus of CrossRail 2019), which will create a stimulating and vibrant living and working environment whilst raising the Town Centre’s profile as a new destination for shoppers, workers and inhabitants and a new attractive central meeting place. Expressions of interest (EOI) are sought from architectural practices including landscape/urban design services that are based in the UK. A minimum of three architectural practices will be shortlisted and invited to develop concept designs for the project and each practice will receive an honoraria payment of £7,000 +VAT. For further details about the Broadway Triangle, Maidenhead competition and how to register please visit www.architecture.com/competitions and follow the link to Live Competitions. Deadline for receipt of expressions of interest is 2.00pm on Friday 21 February 2014.